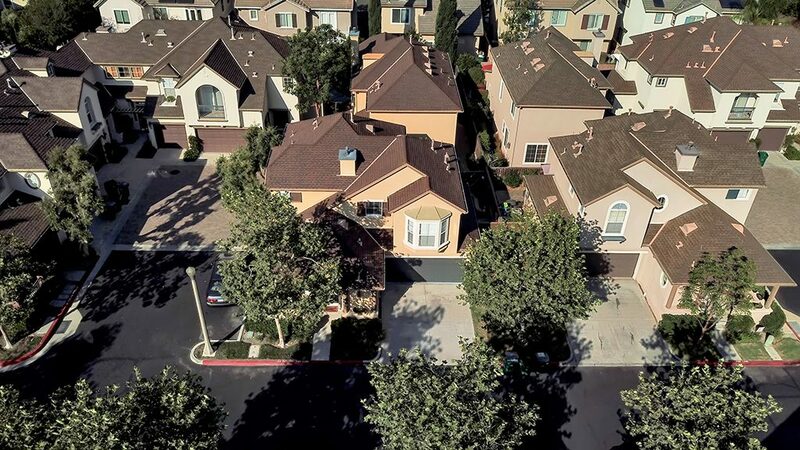 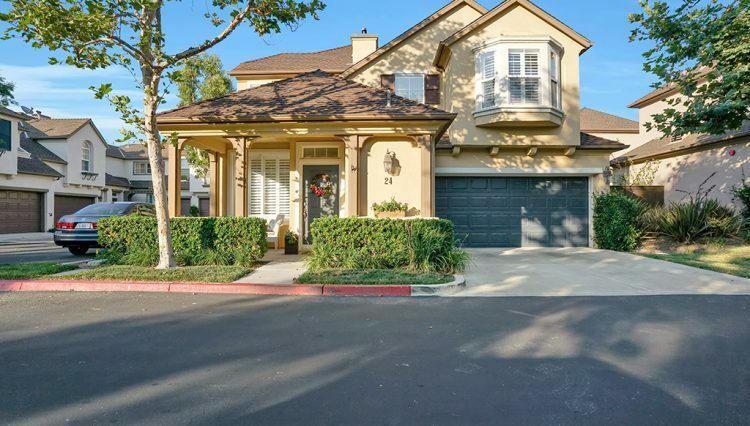 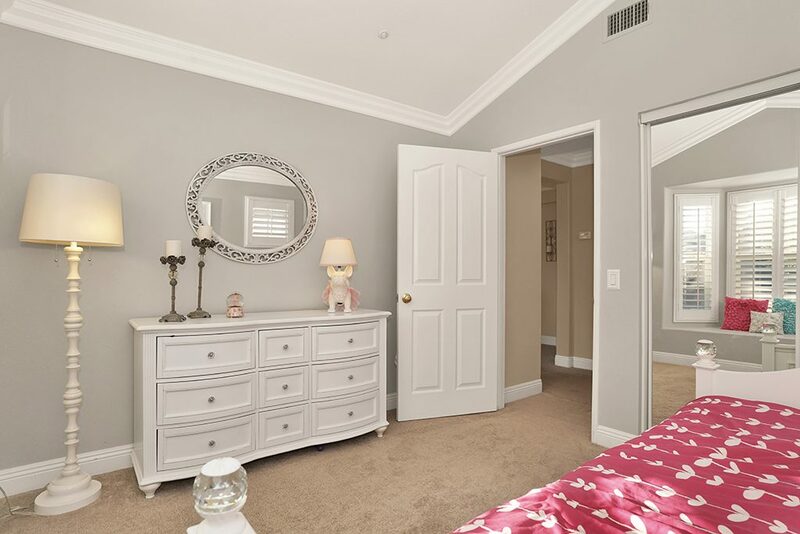 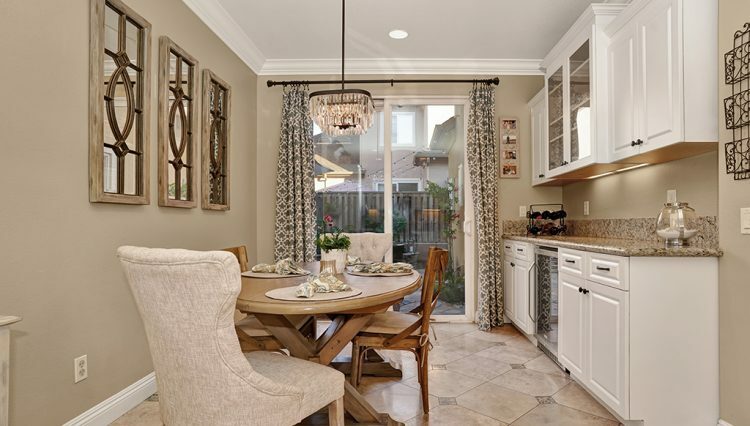 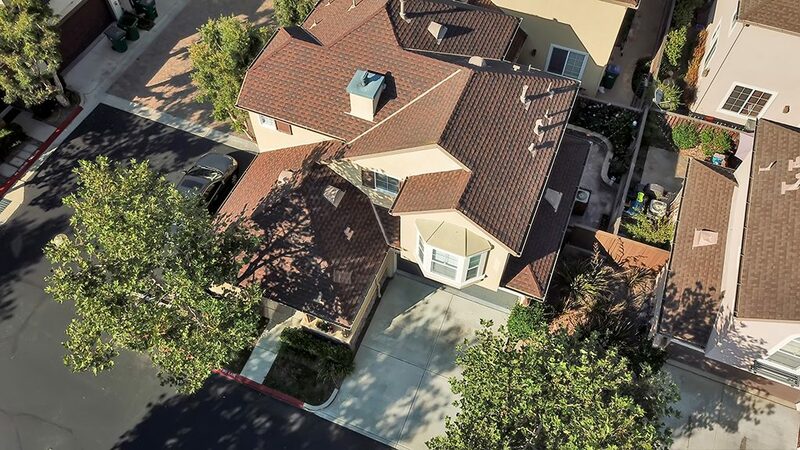 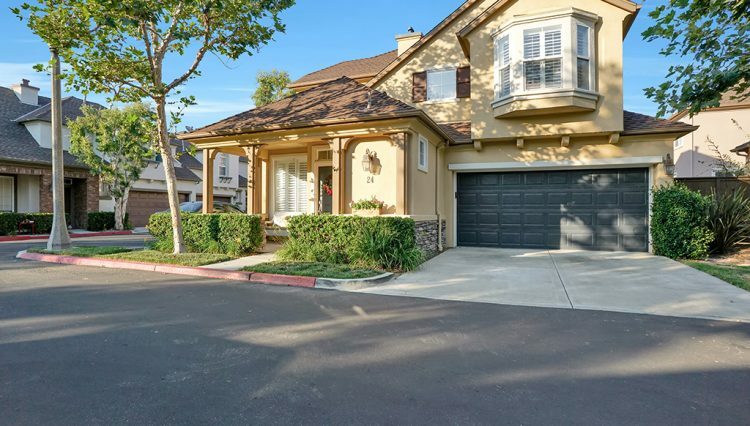 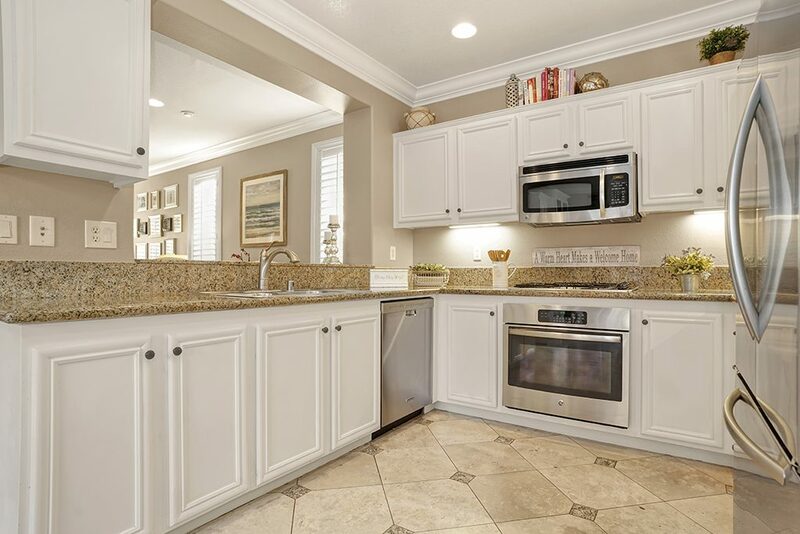 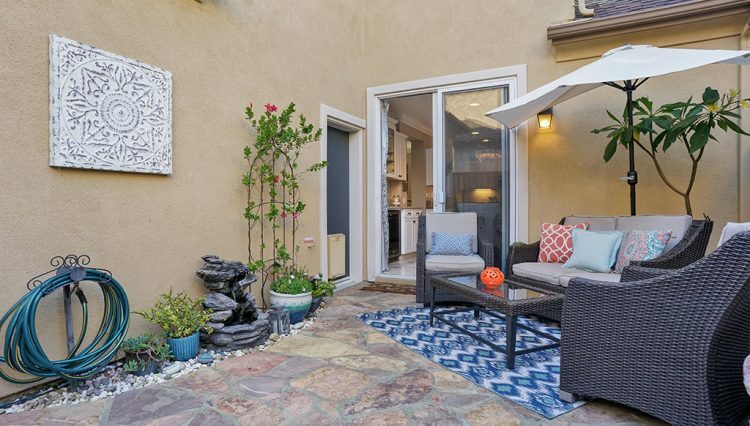 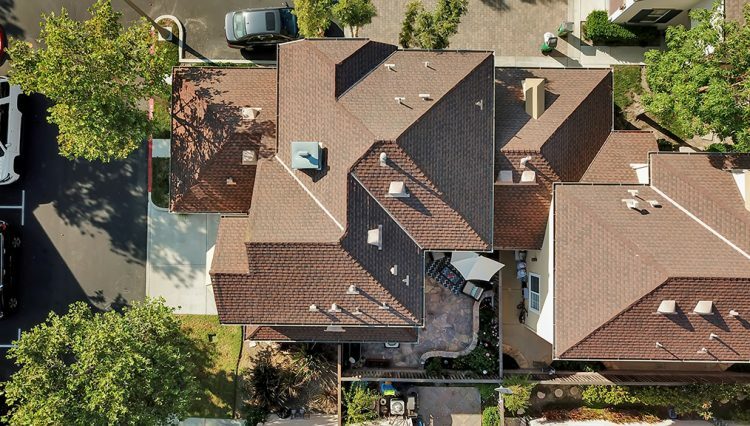 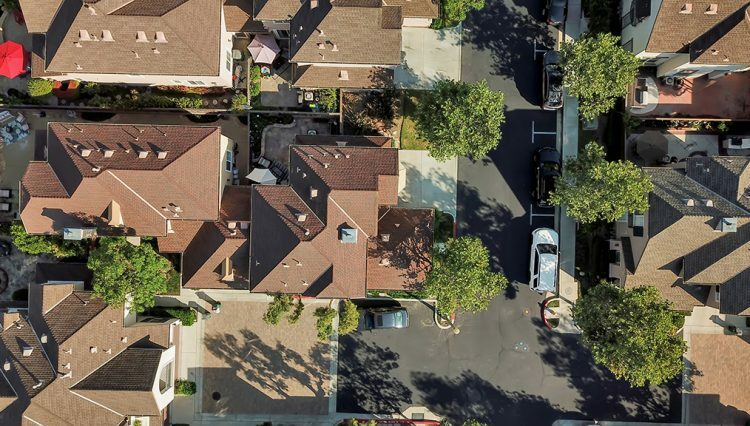 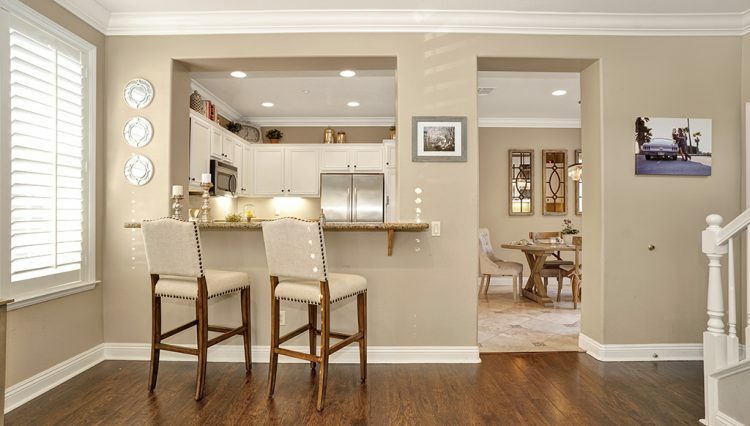 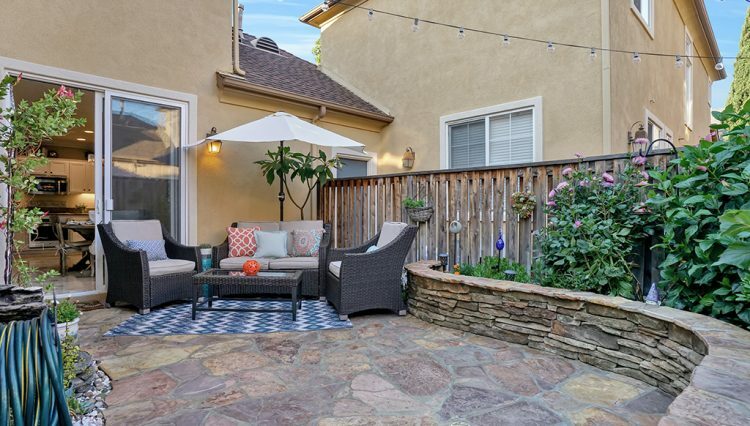 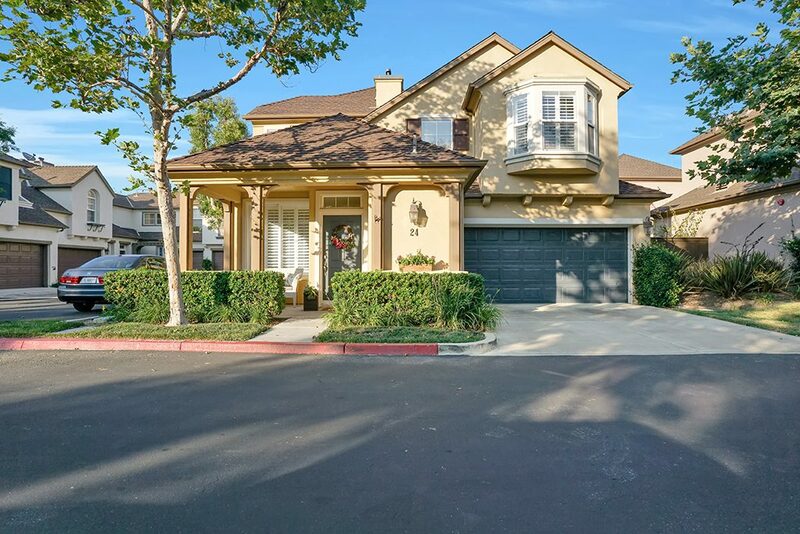 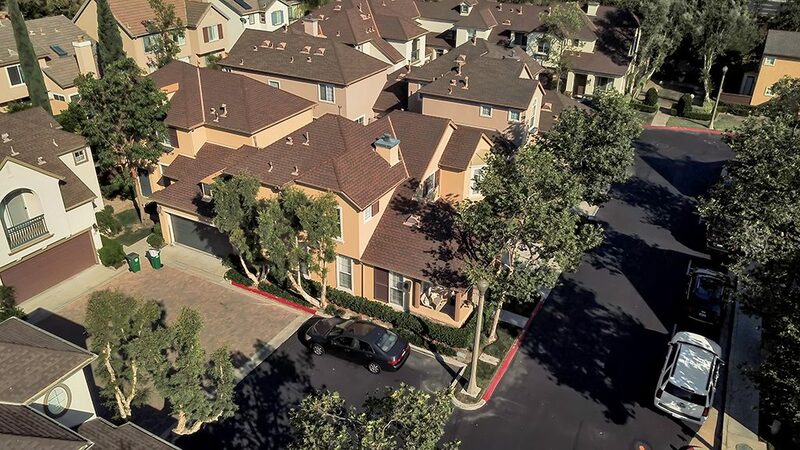 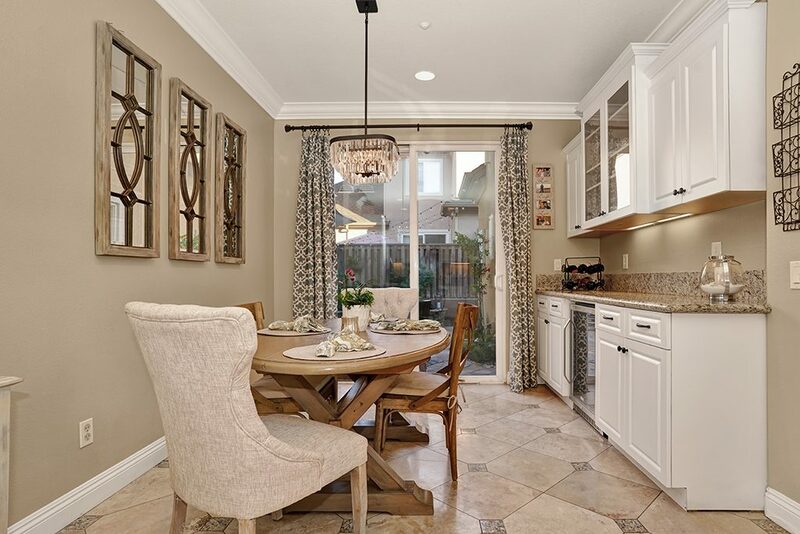 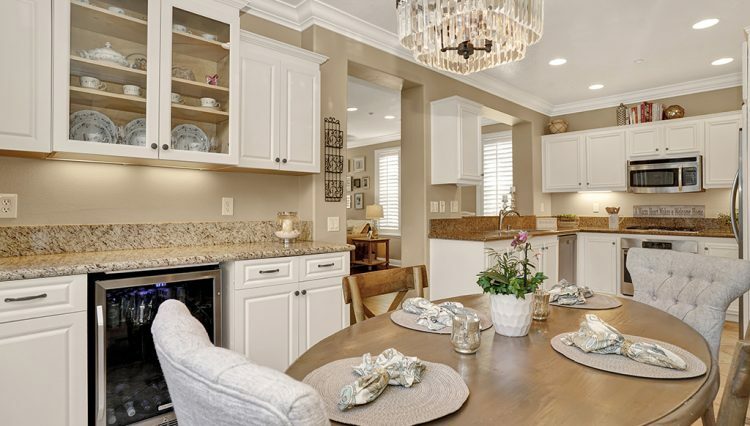 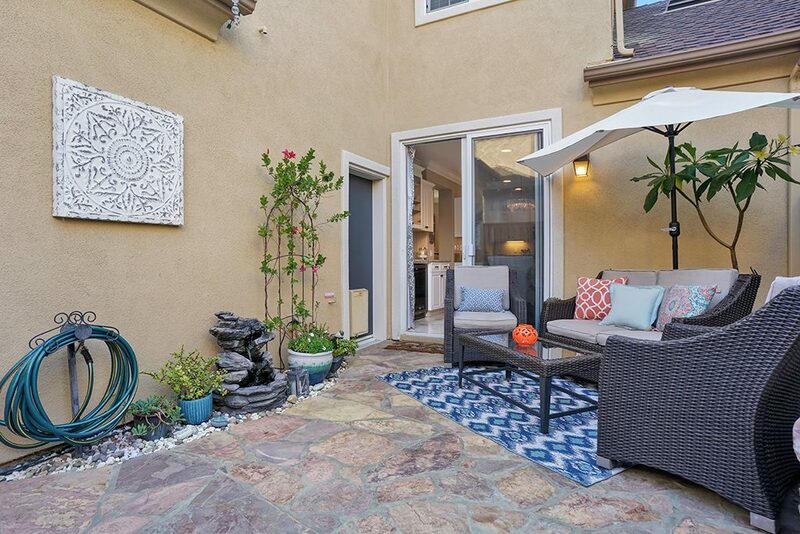 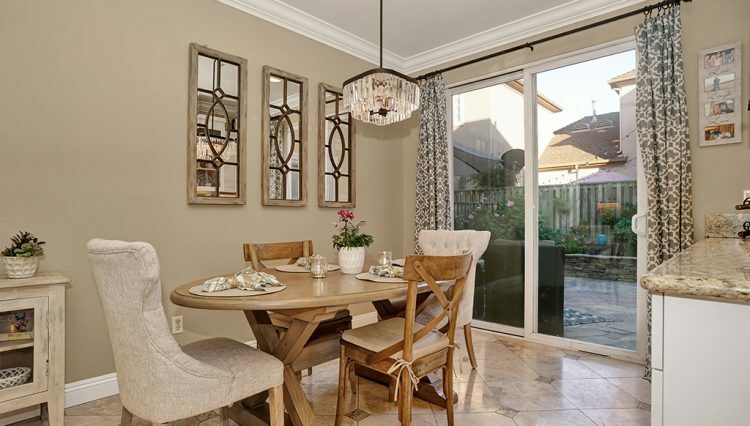 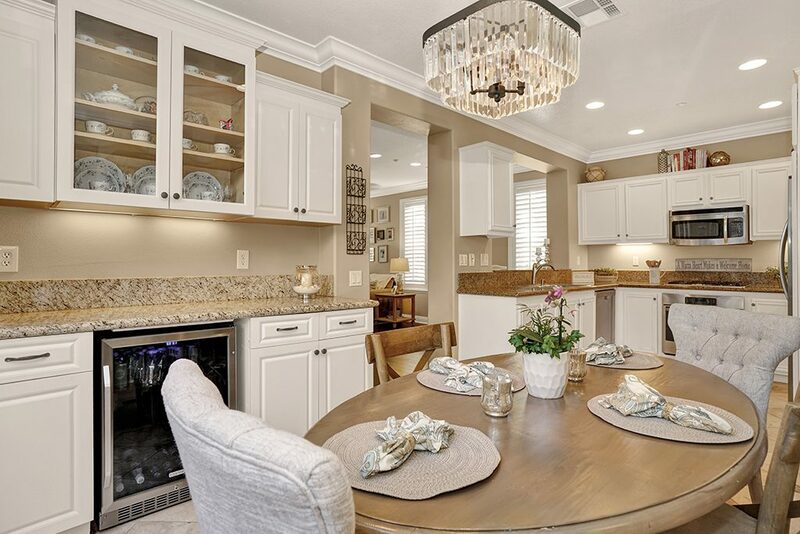 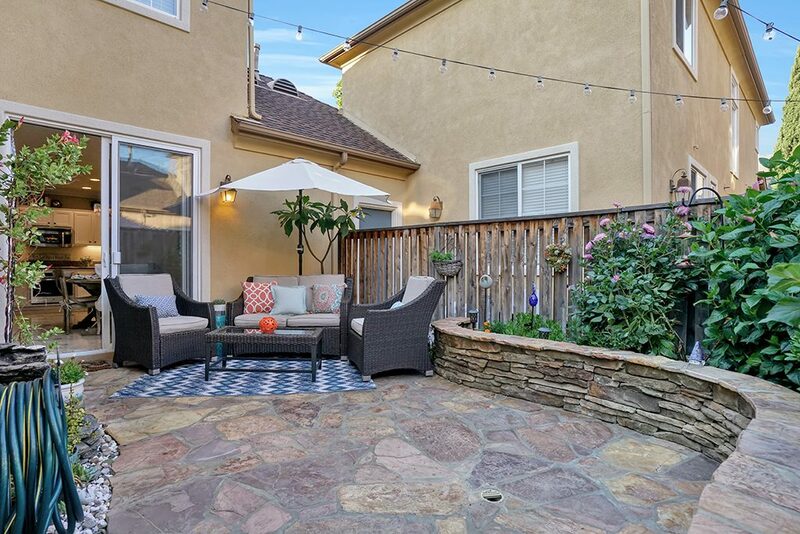 This turn key 3 bedroom 2.5 bathroom townhome is located on the end corner in the highly desirable Oak Knoll Community. Having only one wall attached to the neighbors garage, this home truly feels just like a single family home! 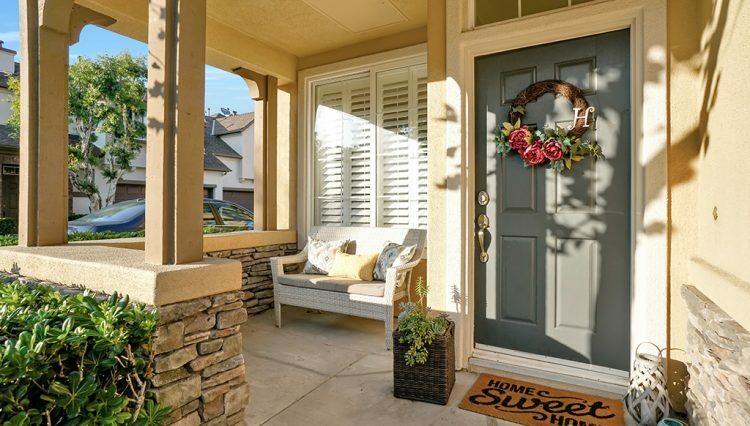 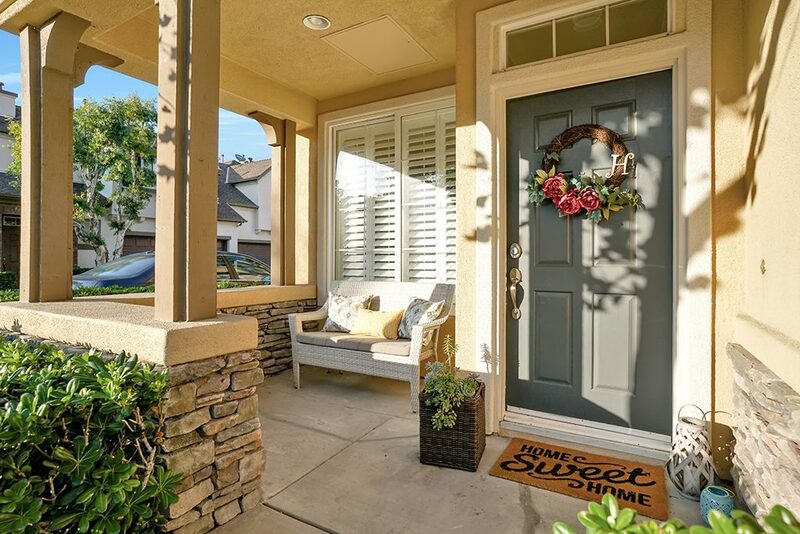 Walk up the darling front porch with room for seating area to the warm welcoming front door. 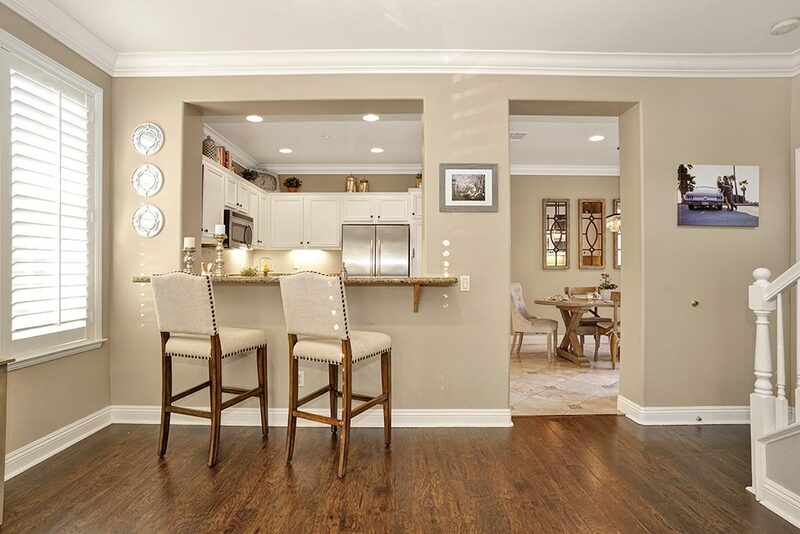 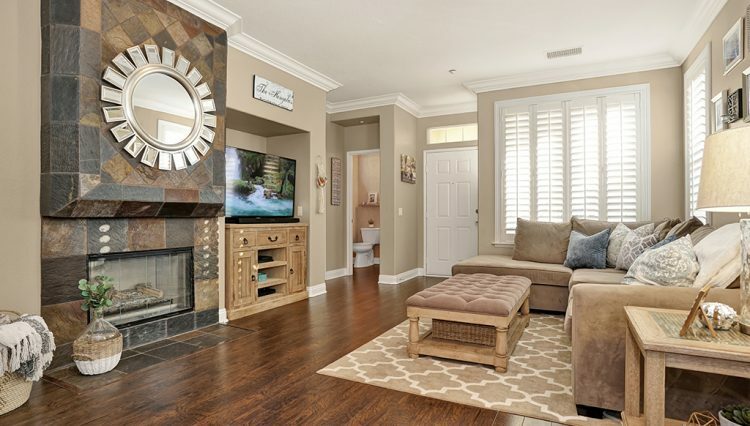 Once you enter the home you are greeted with an open floor plan! 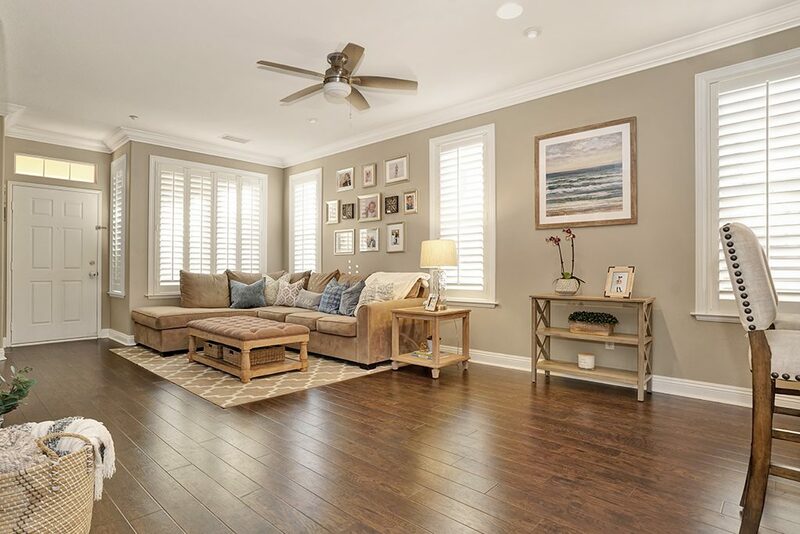 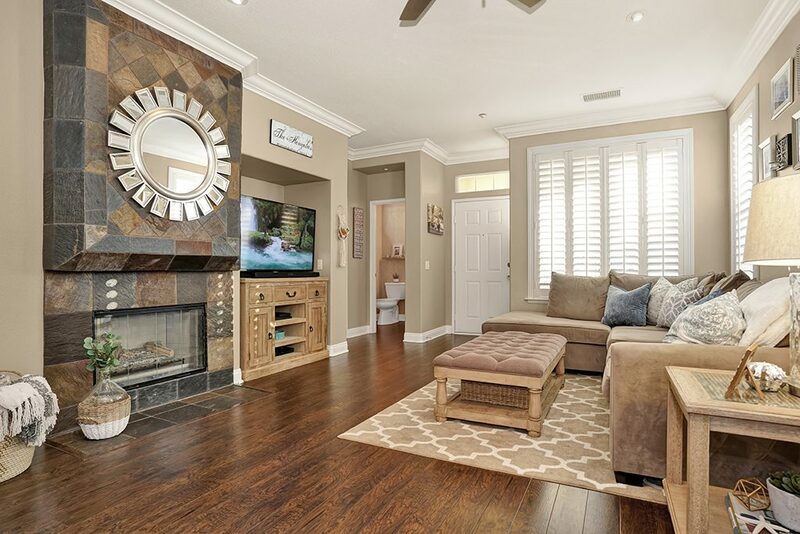 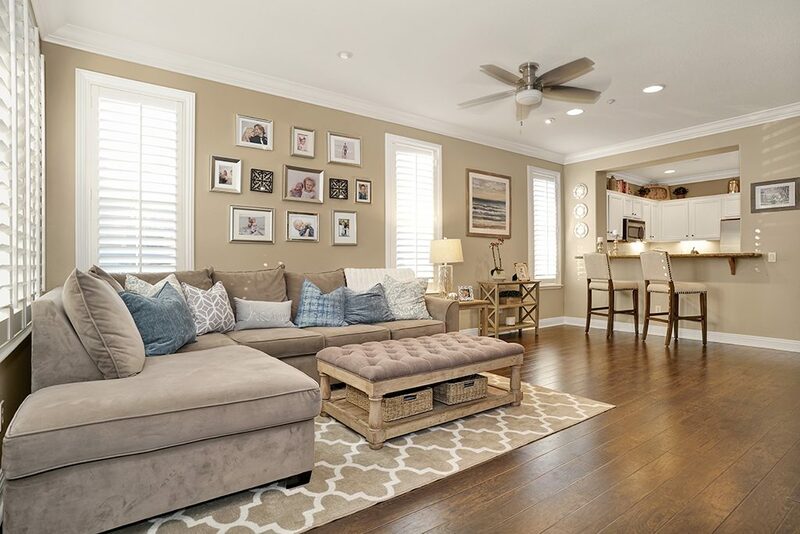 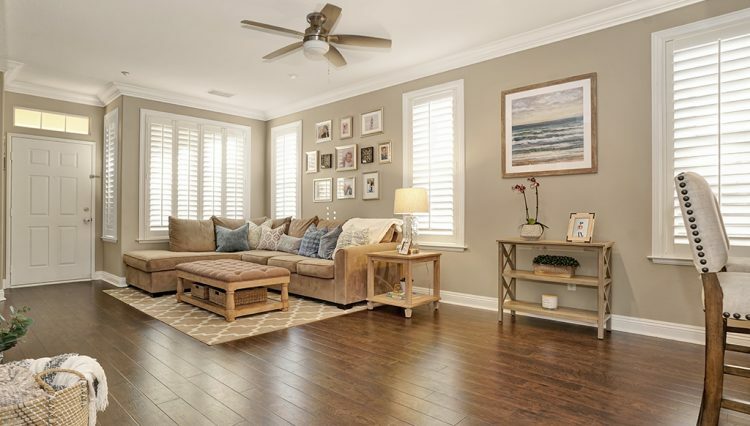 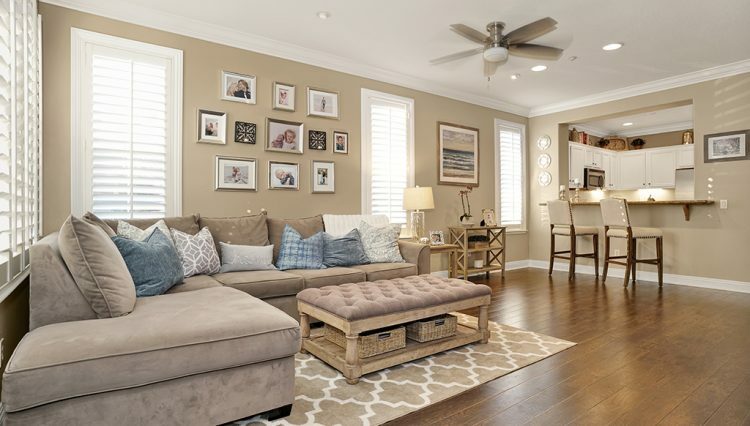 The home features downstairs laminate flooring, recessed lighting, gorgeous plantain shutters throughout downstairs allowing for the natural light to brighten up the home, and a stone fireplace that centers the living room. 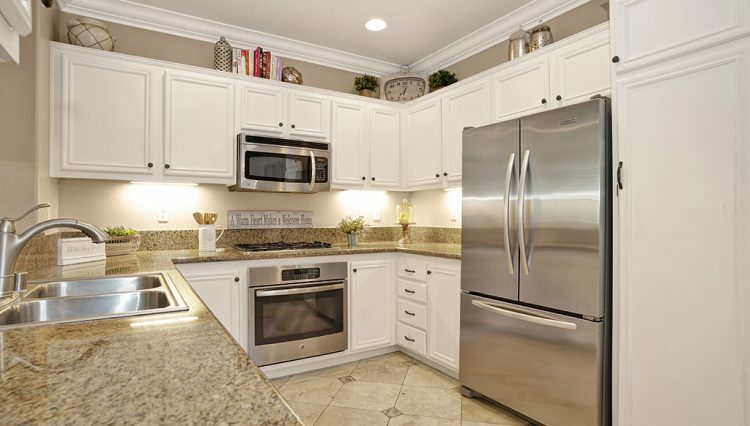 Talk about Kitchen Envy! 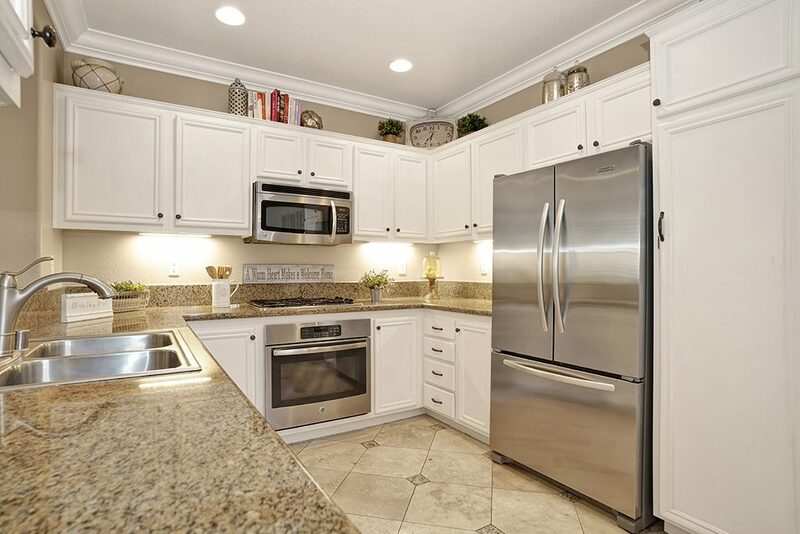 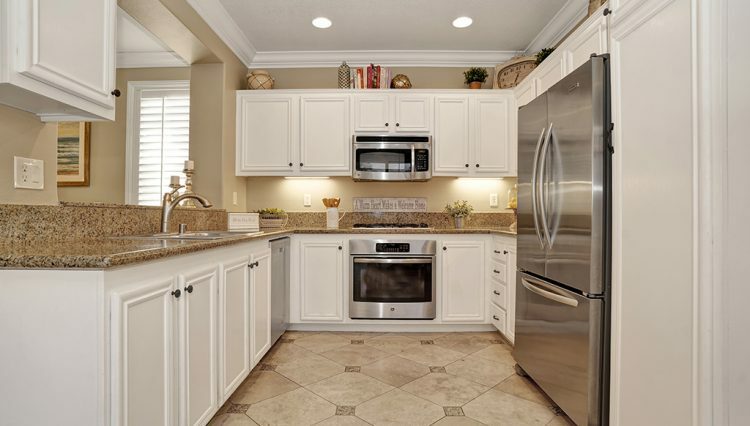 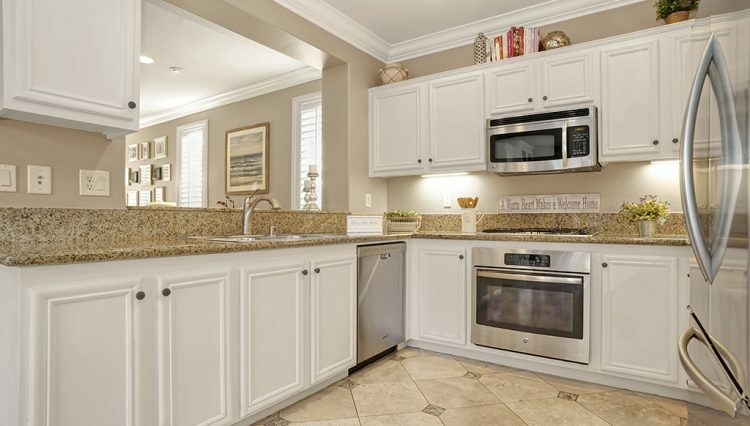 This kitchen was upgraded with beautiful tile flooring throughout the kitchen and dining area, granite countertops, stainless steel appliances (GE oven, range top, and microwave to Kitchen Aid dishwasher and refrigerator), to a custom built-in dining area included with a mini refrigerator. 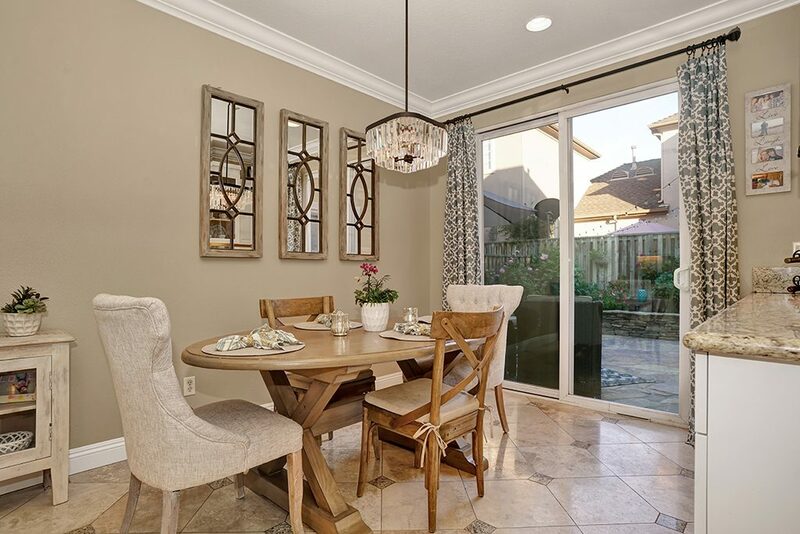 Enjoy dinning in under the stunning chandelier or outside on the spacious private patio with flagstone and custom built-in planter! 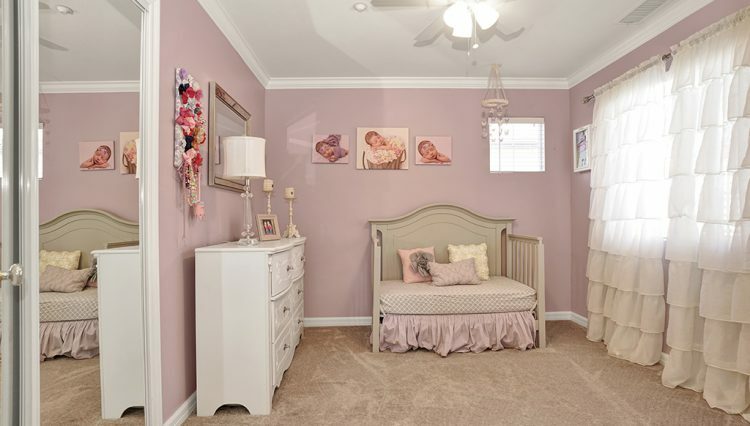 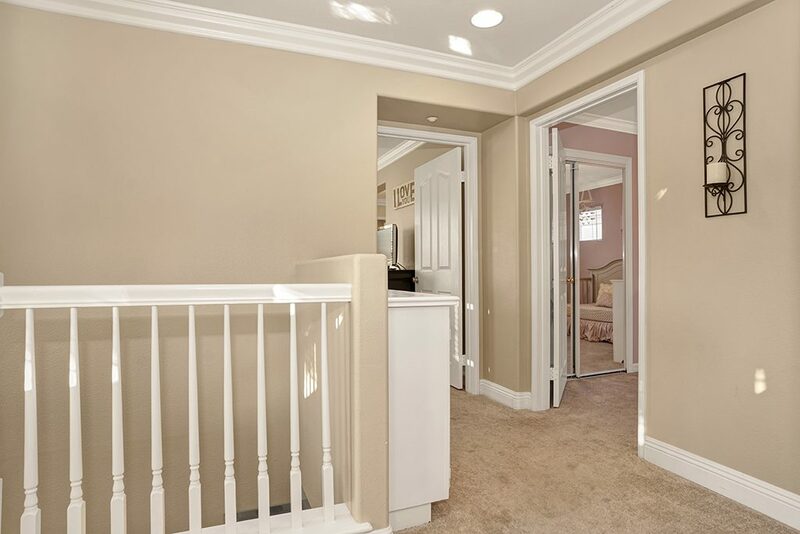 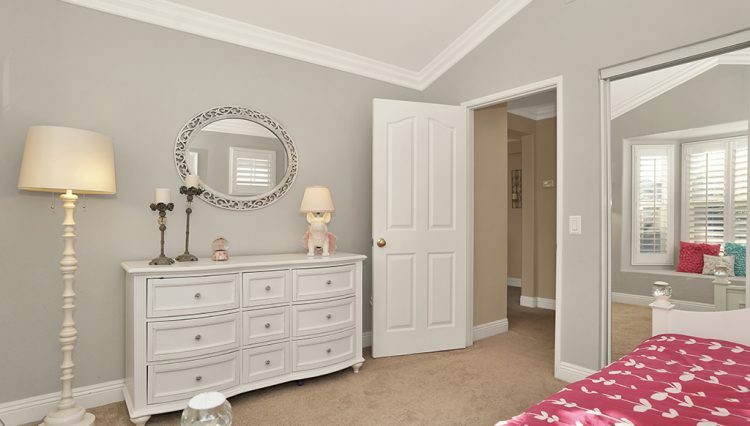 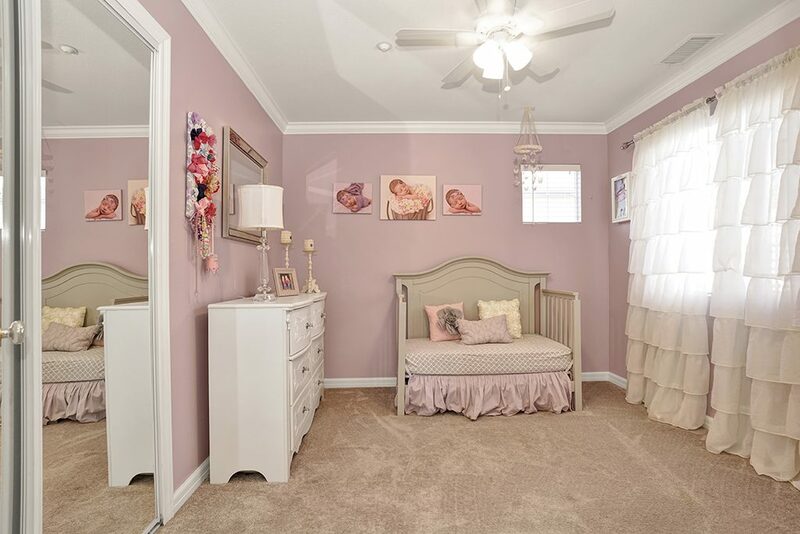 Home features crown molding throughout entire house! 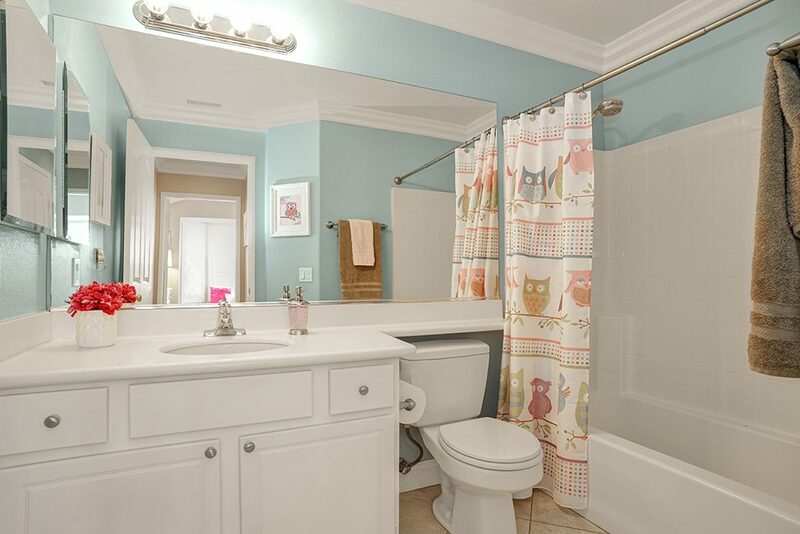 All 3 bedrooms and laundry room are located on the second level. 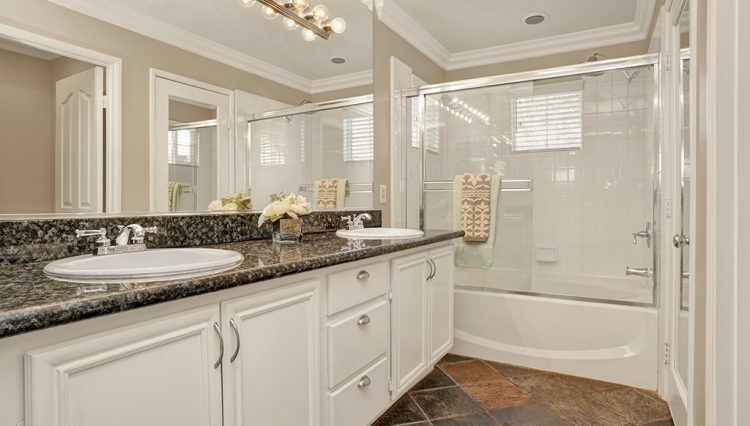 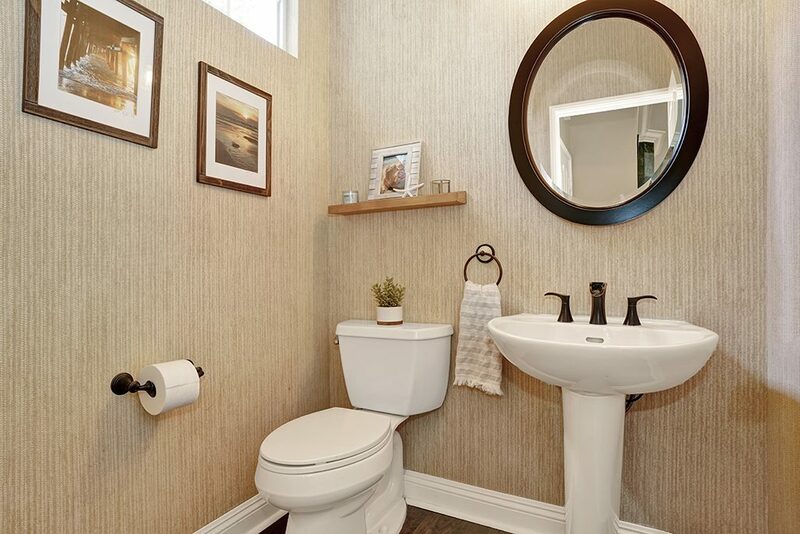 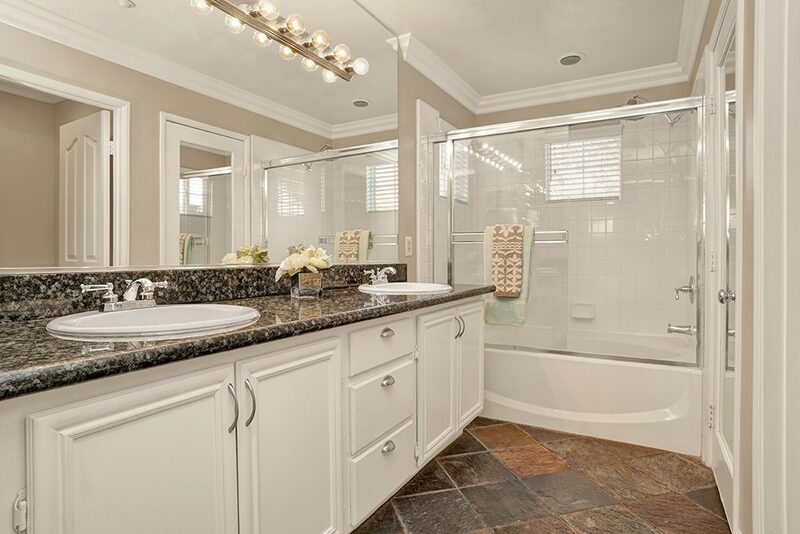 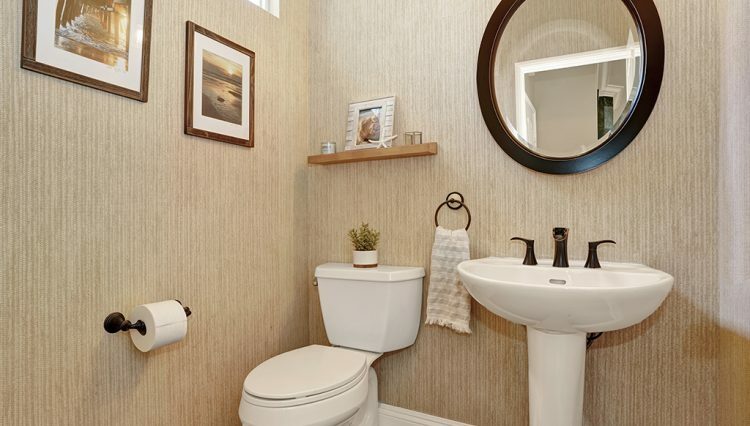 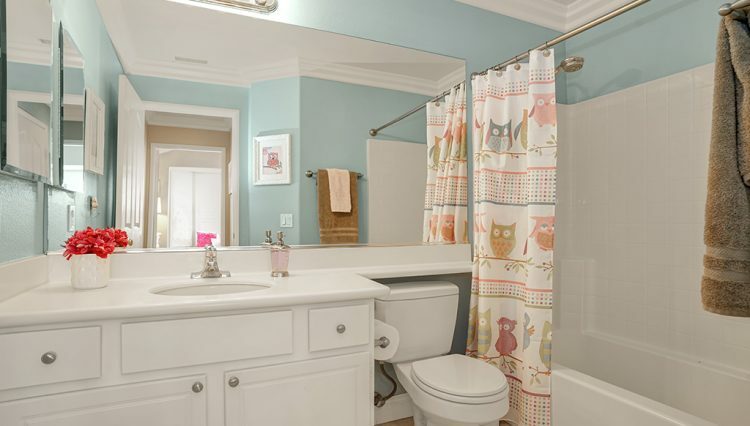 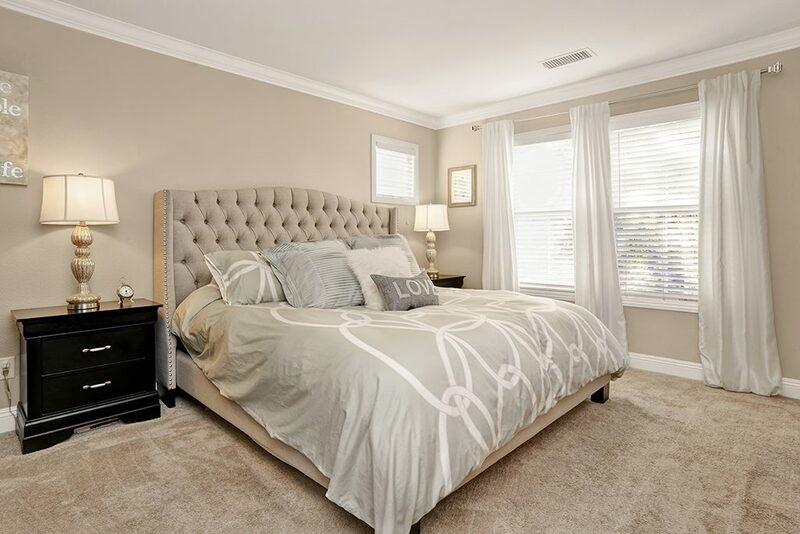 The master suite includes a walk in closet and upgraded bathroom from granite countertops to stone flooring. 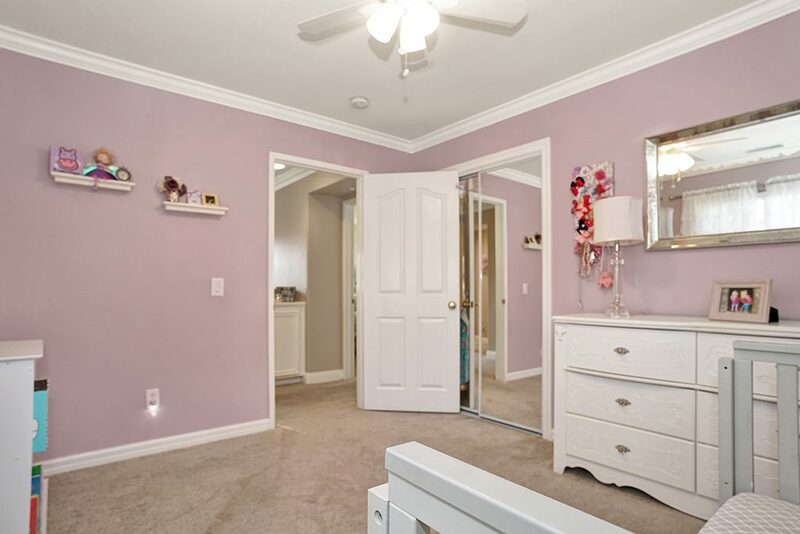 Each additional bedrooms include built in closets! 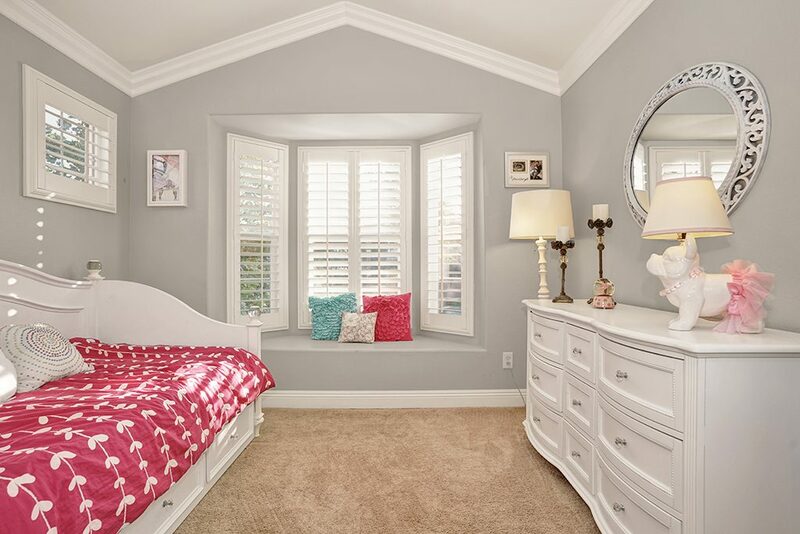 The attic provides storage space galore and can be access through the stairway, master closet, and front patio. 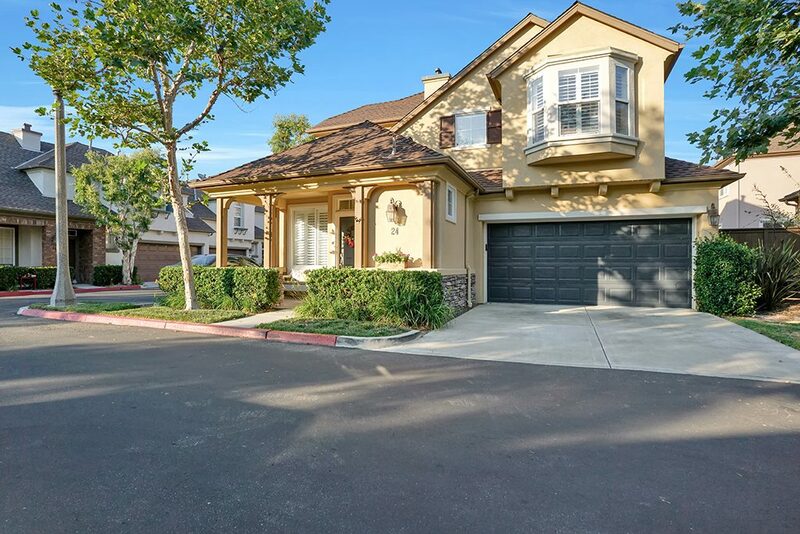 One of many highlights to the property is that it not only has a 2 car garage but has a private driveway! The home end location provides little to almost no traffic. 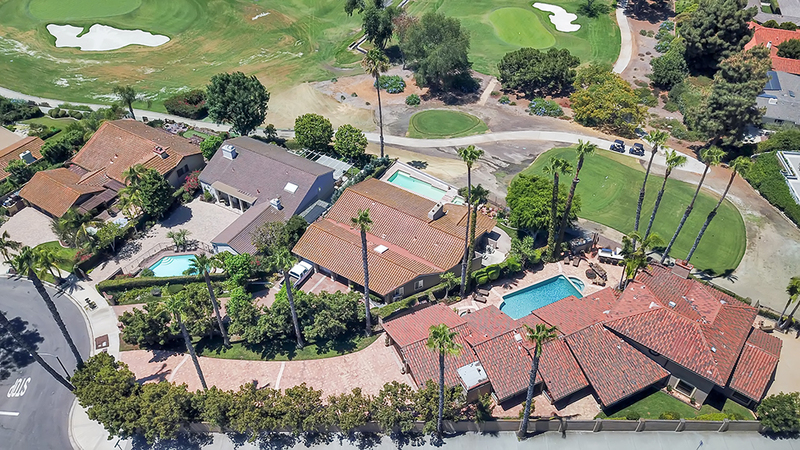 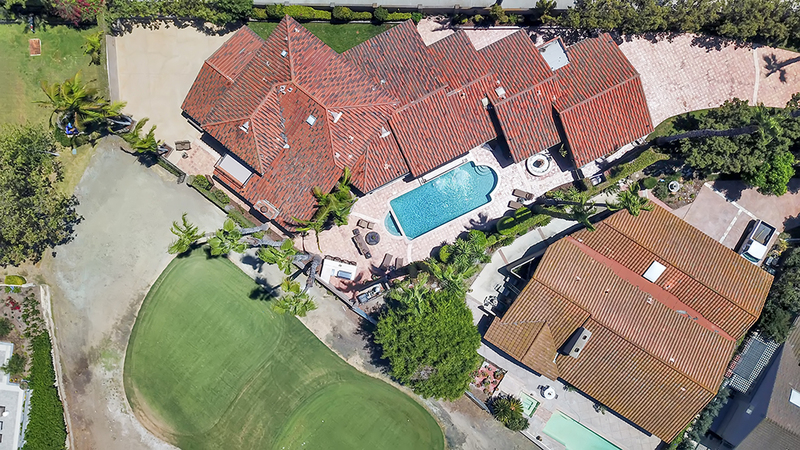 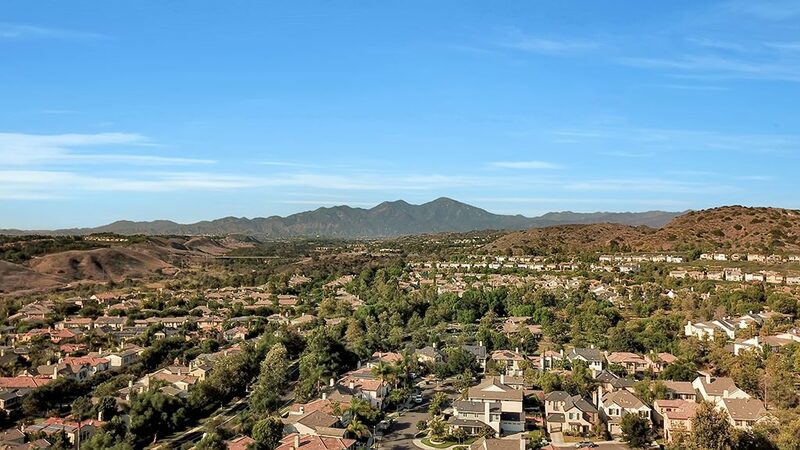 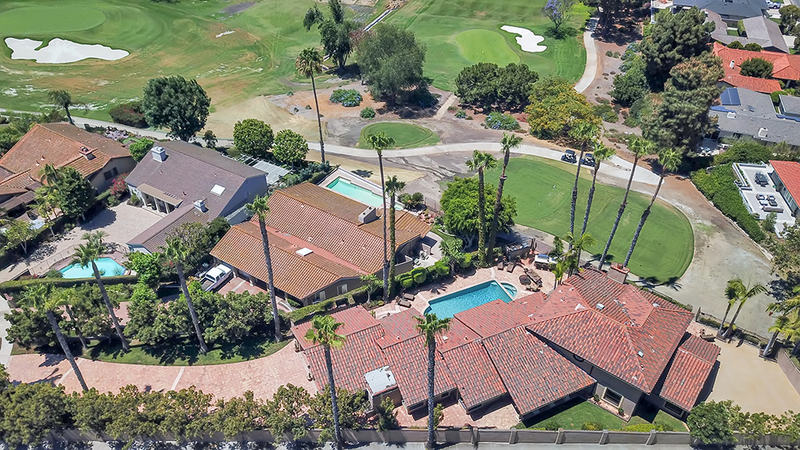 Get to enjoy the communities private pool and spa, steps away from the community playground, a short walk to the Oak Knoll Clubhouse and Cox Sports park. 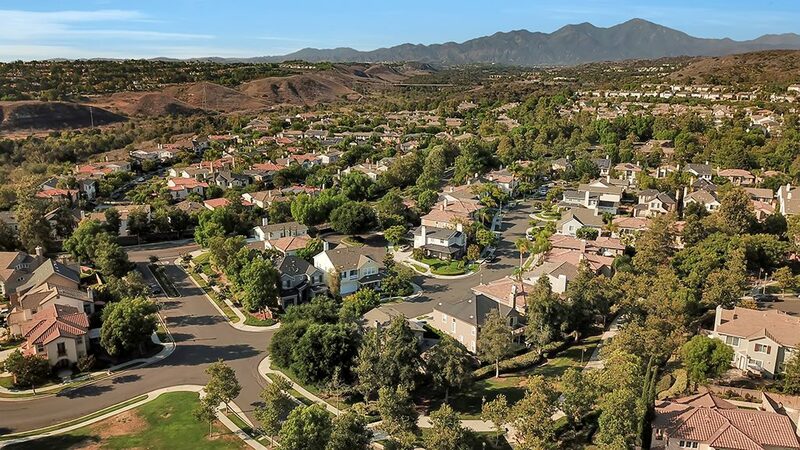 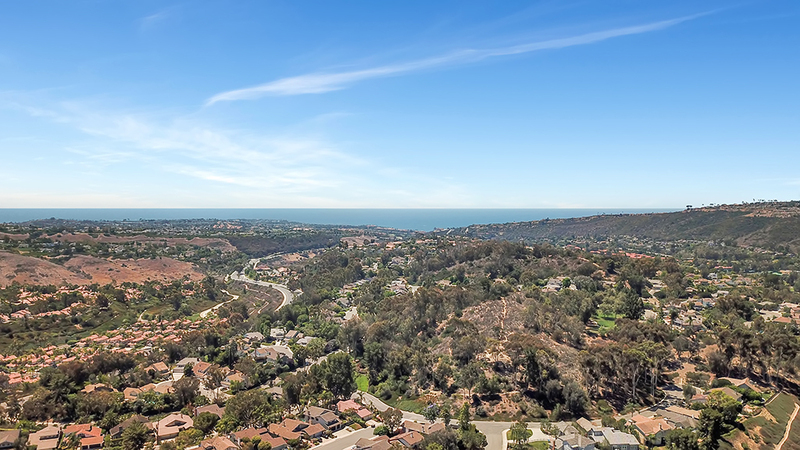 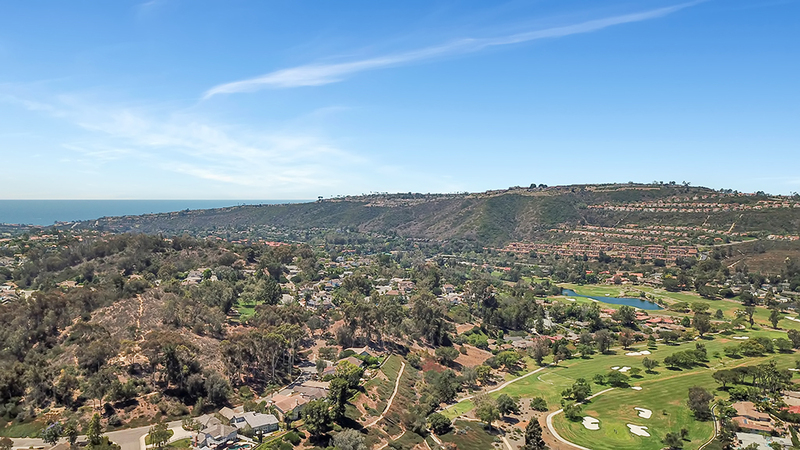 Plus, enjoy the amenities Ladera Ranch has to offer such as the waterpark, skatepark, and easy access to shopping and dining! 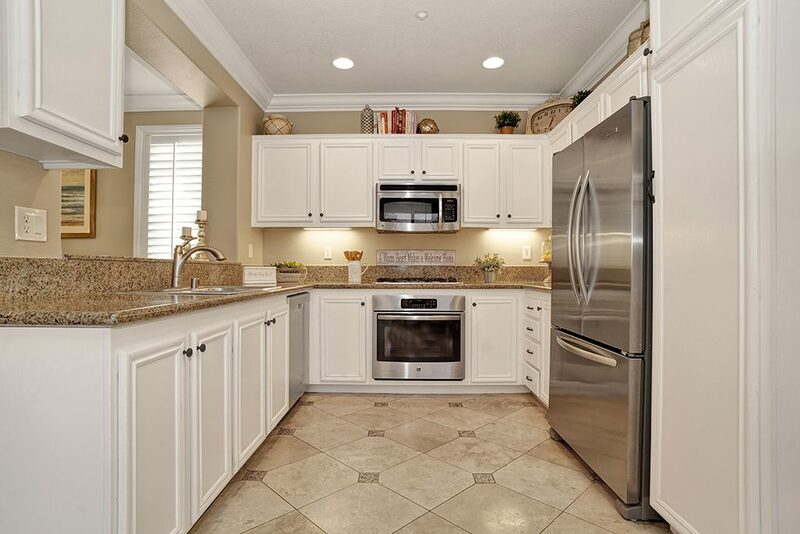 Don’t miss the opportunity to call this beautiful turn key townhome your own!